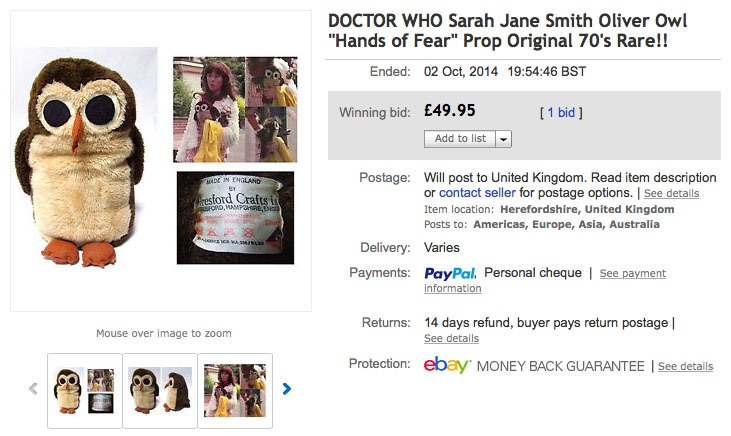 As featured in Sarah Janes last episode on Doctor Who, The Hand of Fear. 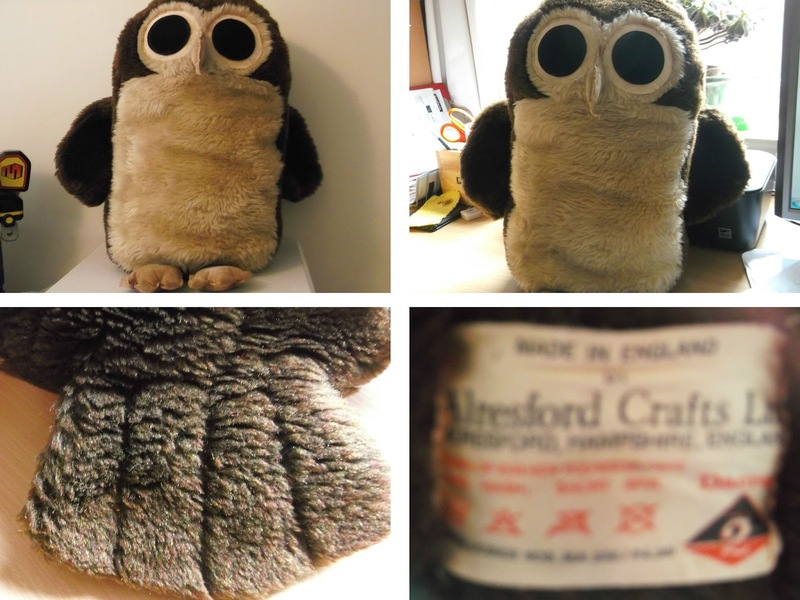 The owl comes in great condition, no holes or tears, just slight bobbling to the felt feet and beak which isnt surprising given its age. 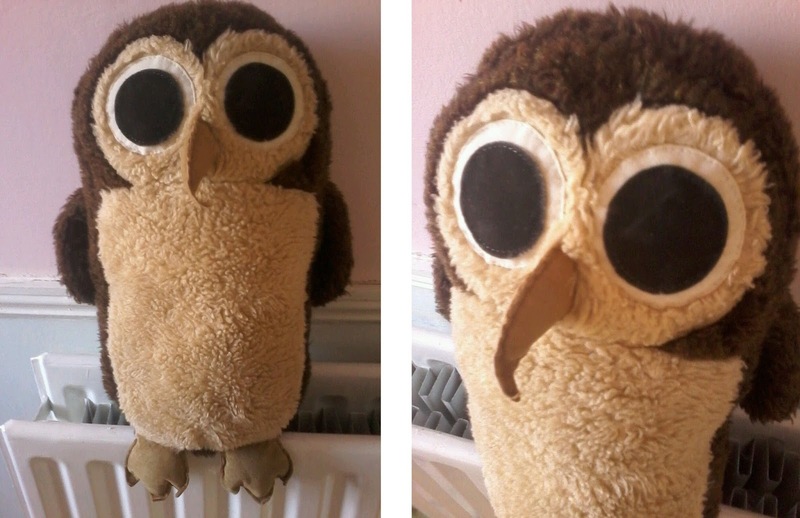 Oliver owl reappeared in the spin off series Sarah Jane adventures when Sarah Jane was going through the Attic in Bannerman Road, in episode two of The Wedding Of Sarah Jane. The inset images are screen shots from the episode. NB this is not the actual one used in the show, just an exact copy from the same makers! 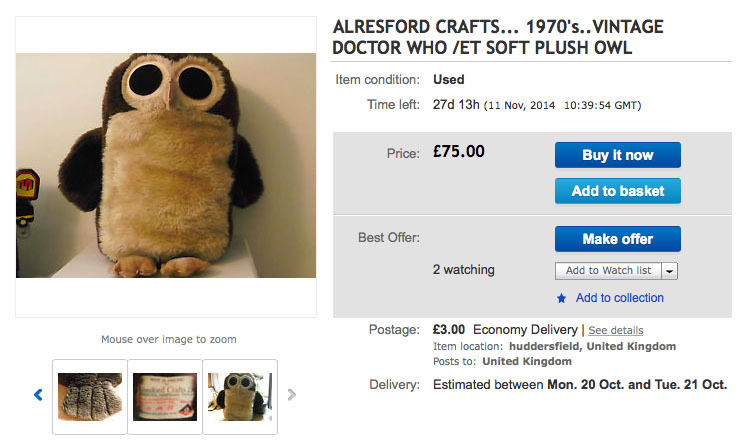 A really super and unusual bit of Dr Who memorabilia! 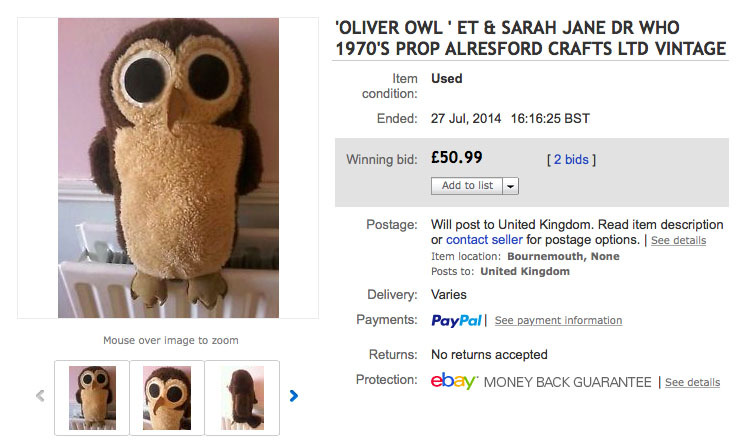 You're bidding on an extremely rare vintage “Oliver Owl” plush produced by Alresford Crafts Ltd. In England in the mid seventies. 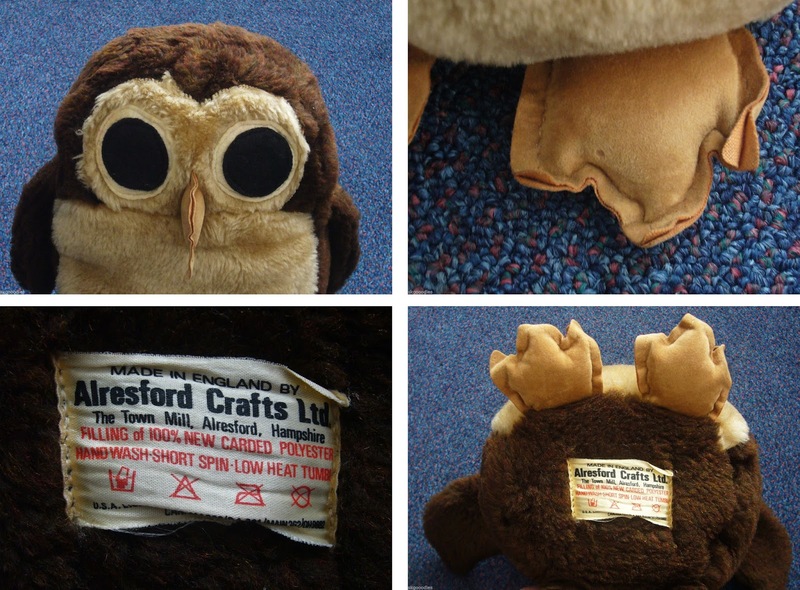 A similar owl was used and seen in the classic E.T Extraterestrial and Doctor Who Tom Baker Episode Hands of Fear held by Sarah Jane Smith in her last appearance on the show. 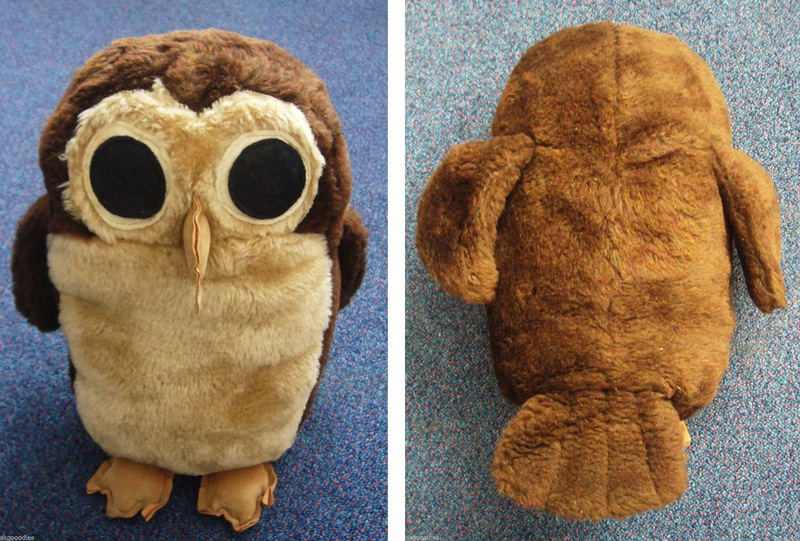 The Owl I’m selling is not the original one used in either film (I don’t think), just an exact original copy. The owl stands approx 12" high. Very good condition, no rips or damage. 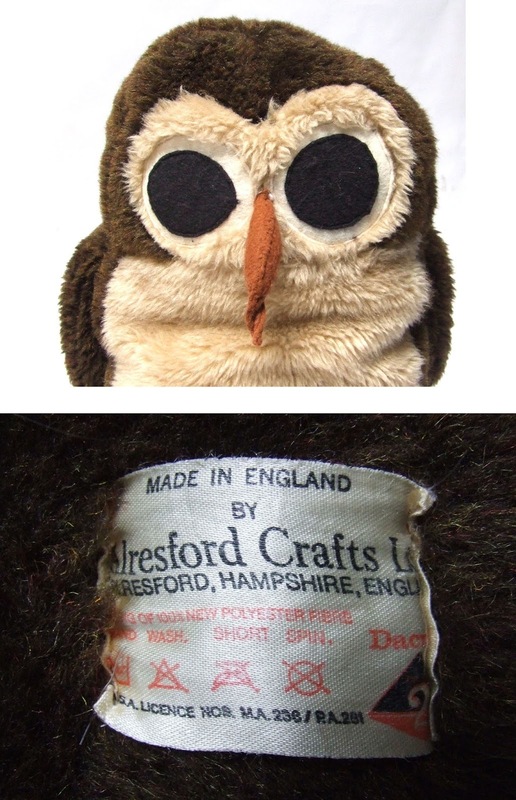 The label on the bottom is frayed but the owl itself is fab cond. I have found some pics on google of him in E.T. And Dr Who. 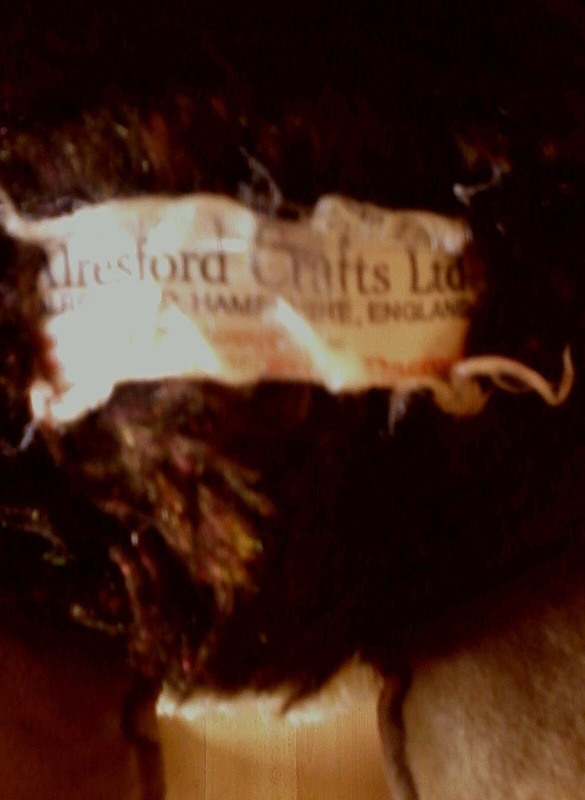 Alresford Crafts Ltd. 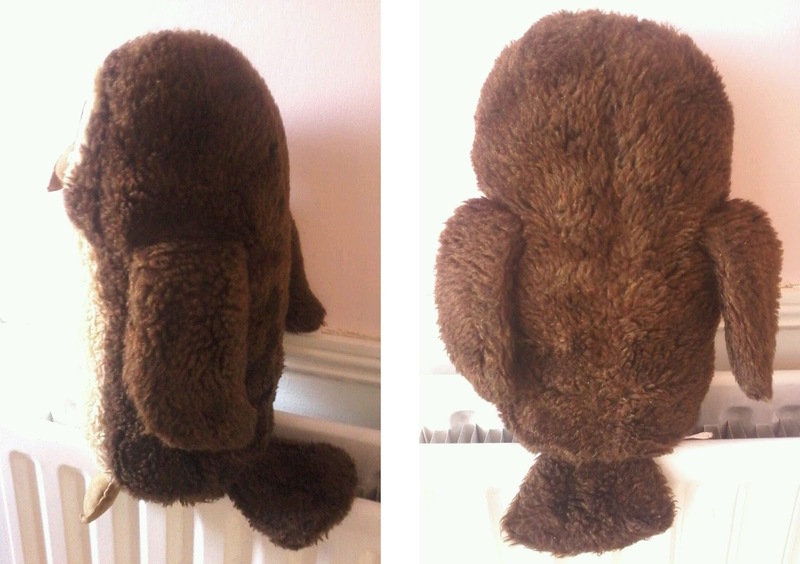 Measures approx 12". Rare and delightful in his own right he is the same as the one featured at the end of the 'Hand of Fear' Dr Who story when Sarah Jane leaves the Doctor. 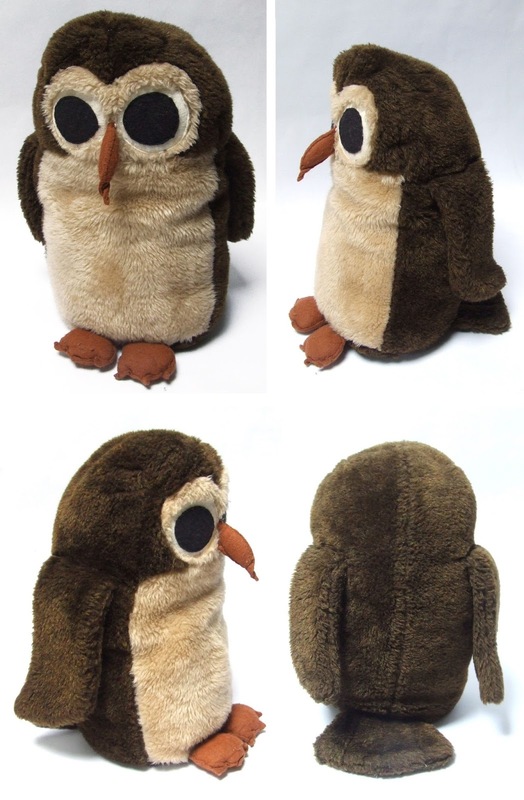 He also reappeared in 'The Sarah Jane Adventures', also this make of owl featured in 'ET'. 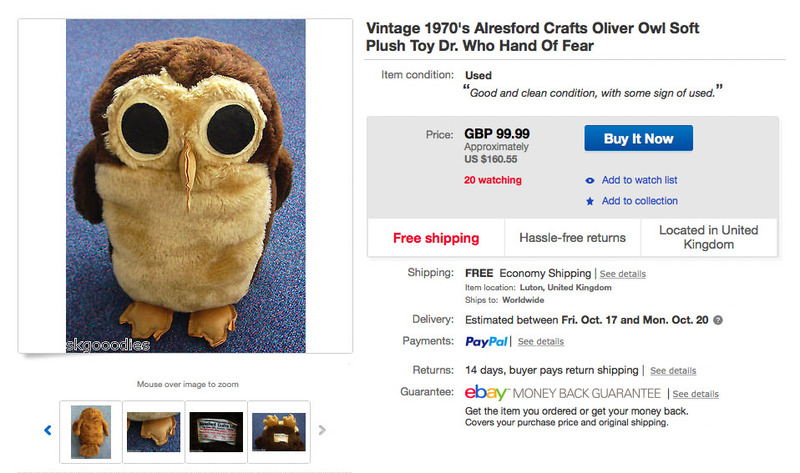 Is in very good vintage condition.